Shropshire’s Fishmore Hall, has extended its winter sale until the end of February. The boutique hotel is offering an unmissable 20% off gift vouchers and selected packages, including overnight stays, afternoon tea and its renowned tasting menu. Located just a short stroll from the historic market town and culinary haven of Ludlow, Fishmore Hall is a stylish 15-bed Regency-style hotel, set in magnificent grounds and overlooking the unspoilt Shropshire countryside. As well as Forelles, Fishmore’s 3AA Rosette fine dining restaurant, the hotel offers elegant, contemporary bedrooms and an exclusive Spa. The winter sale vouchers can be bought as a present for Valentine’s Day, a birthday or even to treat yourself! With innovative Head Chef, Joe Gould at the helm, Forelles is famed for its exquisite tasting menus, unique dining experiences and sumptuous seasonal dishes, featuring the very best local ingredients from producers across the Shropshire Marches. The hotel is offering fantastic savings on many of its dining packages such as its Champagne Afternoon Tea, three-course Sunday Lunch, nine-course Tasting Menu and three-course dinner. Guests can also enjoy the Tasting Menu with an Overnight Stay from just £260 per couple. Also included in the winter sale are a range of Spa packages which can be enjoyed at SPAShell, the hotel’s private Spa, which launched two years ago. Nestled in a tranquil corner of the hotel’s grounds, SPAShell, has four private treatment rooms, which can be linked to create two couples’ rooms for indulgent, shared treatments by ELEMIS. The exclusive Spa also boasts a steam room, sauna, two thermal cabins, an outdoor Cedar hot-tub and oversized hammock for shared relaxation on the decking. There is also an outdoor bucket, monsoon drench shower and ample relaxation space outside. Guests can take advantage of the 20% winter sale saving on a 55-minute Spa Treatment, the Full Spa Day Package or an Overnight Spa Package, which includes use of the fantastic Spa facilities, a 55-treatment per person, a three-course dinner in Forelles and a decadent overnight stay, and is priced at just £300. All packages and gift vouchers booked by the end of February are valid until the end of June 2019. For more information or to take advantage of these fantastic savings visit https://fishmorehall.wearegifted.co.uk/offer/winter-sale or call 01584 875148. 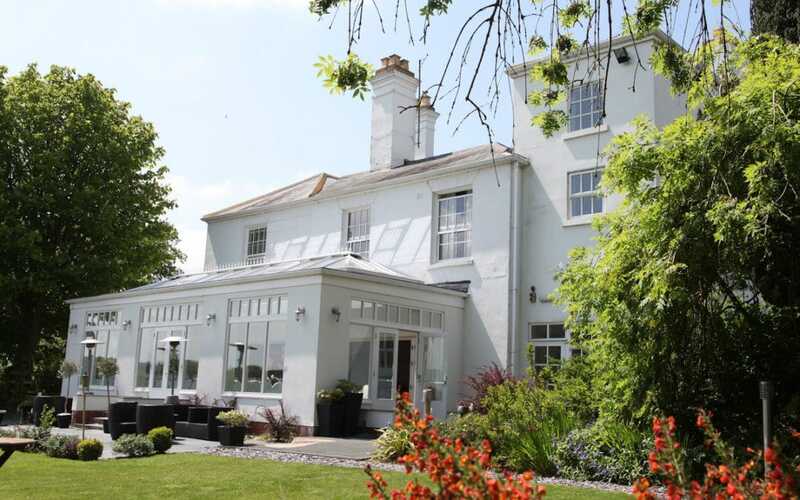 Fishmore Hall is a Regency-style hotel, owned and run by Acorn Award winner Laura Penman. Laura purchased Fishmore Hall as a derelict property and in 22 weeks transformed it into a boutique 15 bedroom hotel. Located in the foodie destination of Ludlow, the hotel is easily accessible from the A49 and set in the breathtaking Shropshire countryside. The contemporary hotel welcomes those looking for a relaxed foodie break in one of the most unspoilt counties in England. Joe Gould, head chef joined the hotel in October 2017. Relaxation is the priority at Fishmore with modern decor and add-ons including pillow menus, Hypnos beds, Frette linen sheets, flat screen TVs and complimentary broadband. The bathrooms have been individually designed and feature large walk-in showers, giant waterfall showerheads, Molton Brown toiletries and perfect mood lighting. Exclusive use of Fishmore Hall is available on request. SPAShell launched at Fishmore Hall in October 2016. The spa boasts four treatment rooms, which combine to create two couples rooms, two thermal cabins; a steam room and sauna, as well as an outdoor Cedar wellness pool and oversized hammock on the decking, both overlooking the fields and the Shropshire hills. There is ample relaxation space and the outdoor bucket and monsoon drench shower provides a refreshing and revitalising experience.